Did you know there are related medical benefits for seniors who are religious? Evidence supports the claim that individuals who regularly attended church were the least likely to show signs of depression. Of those who showed symptoms of depression, their anxiety levels often reduced overtime if they regularly engaged in personal prayer. Research suggests that religion has a positive effect on individual happiness and overall health and wellbeing. 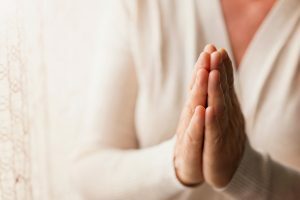 This research supports evidence that seniors with regular religious practices have an increased sense of purpose in life, and overall better physical and mental health, leading to increased longevity. Of seniors studied, longevity is consistently higher in those with religious involvement. These participants live an average of seven additional years, as compared to nonreligious participants. These medical perks are known to fight off illness, disease, and despair in the midst of difficulty. An astonishing ninety percent of seniors claim they depended on their religious beliefs when faced with difficult times, such as disability or loss of a spouse. Of those ninety percent studied, they were reported to recover faster, as opposed to the remaining ten percent. Sixty-seven percent of seniors said that having a richly abundant religious life has continuously provided happiness to their lives. The Pew Forum survey of religion found that seventy-four percent of seniors living in the Southern U.S. attend religious services at least once or twice a month – forty-one percent, weekly. Some 71% of Southerners describe themselves as “absolutely certain” God exists. In the South, 76% belong to the Christian faith, with 34% being evangelical Protestants, 17% of which are within the Baptist family. Another 15% are Catholic. Non-Christian faiths (Jewish, Muslim, Buddhist, Hindu, or other faiths) make up 4% in the survey. About 19% described themselves as unaffiliated or non-religious. Among the various religions, we all share the same philosophy of mercy and compassion toward others. At Riverwood, this can be seen in the way we value and respect our residents. Riverwood is pleased to provide our residents with the outreach they need to enjoy a feeling of spiritual peace and wellbeing. Whether it takes place in inspirational group activities, outings, services, worship, or prayer, religion is vital to the happiness and health of our Riverwood Retirement Senior Living community. In search of a Religious senior living community that meet your spiritual needs? Visit Riverwood today to get to know us! Seniors and families are welcome to join in the fun at one of our events or activities! “When visiting any of our communities and reading the calendar of activities on the wall, or receiving a newsletter from a community with the calendar, you will see that Riverwood has reached out to our local churches to secure volunteers to come to our community, including: Pastors from various denominations to preach, teach, or lead Bible studies; choir visits with singers, accompanied by instruments, and many more.” – Jeff Clay, Vice President of Business Development for Riverwood.